We love to fill our notebooks. In fact, we build relationships with the worn covers and collaborate with the pages. But once they’re full, we have to start over with a new notebook. You have to get to know each other, take it slow. Sometimes it’s just not a good match. What if you didn’t have to start over? It’s not that big of a problem, actually, that Bull & Stash seeks to address. 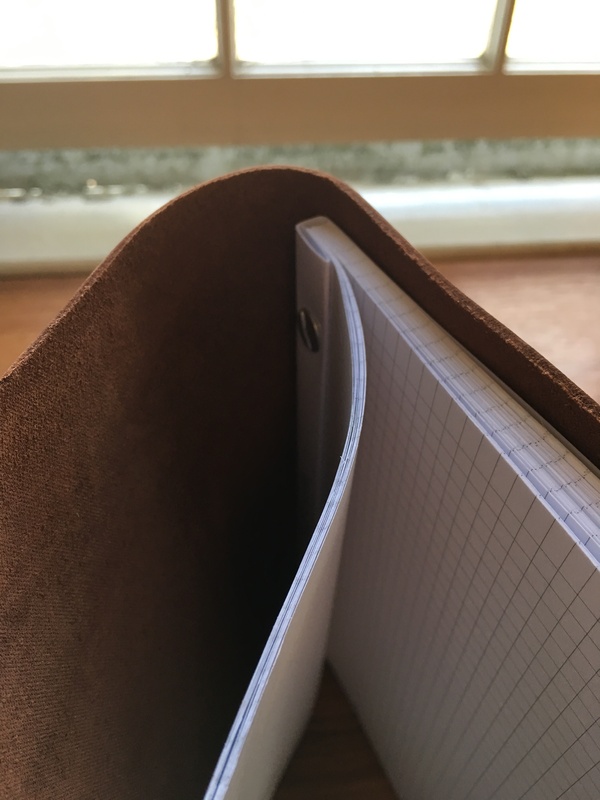 There are, after all, leather notebook covers for such occasions, into which and out of which you can move your pocket notebooks. 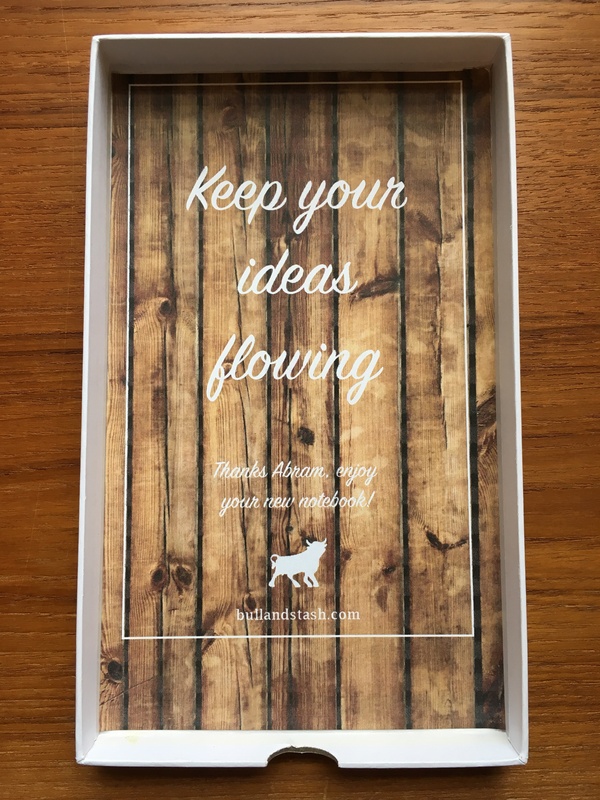 Or you can just buy another notebook when the first one gets full. 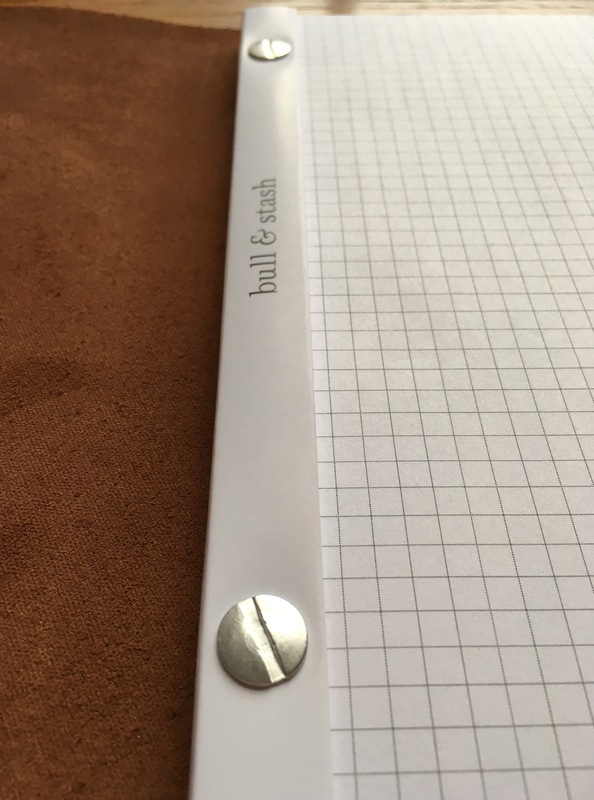 However, Bull & Stash does offer a good solution to keeping the regular writer well stocked with pages: The Stash ($50). We’re going to review it in two parts. 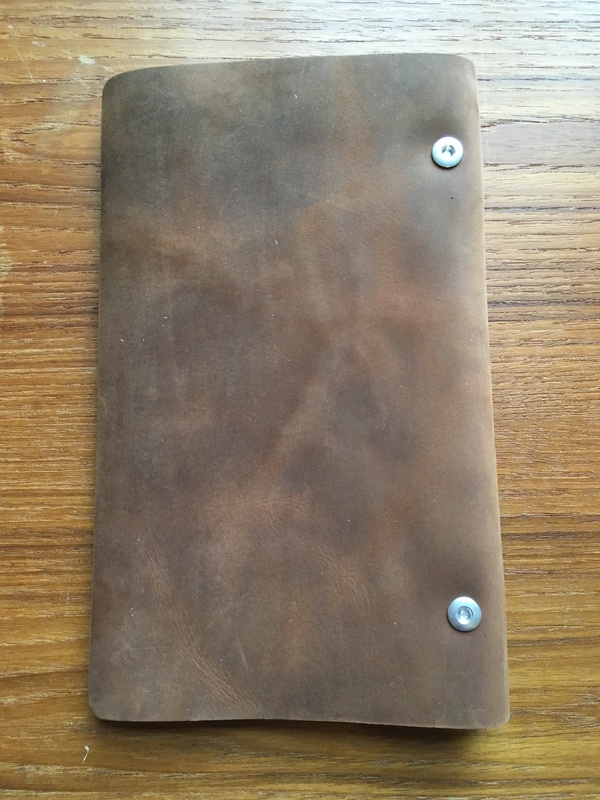 This first post is image-rich, and introduces the notebook and what it’s like to write in it. The second post will focus on managing the screw-bound paper refill system. The leather is soft and supple. Better yet, it’s full grain. 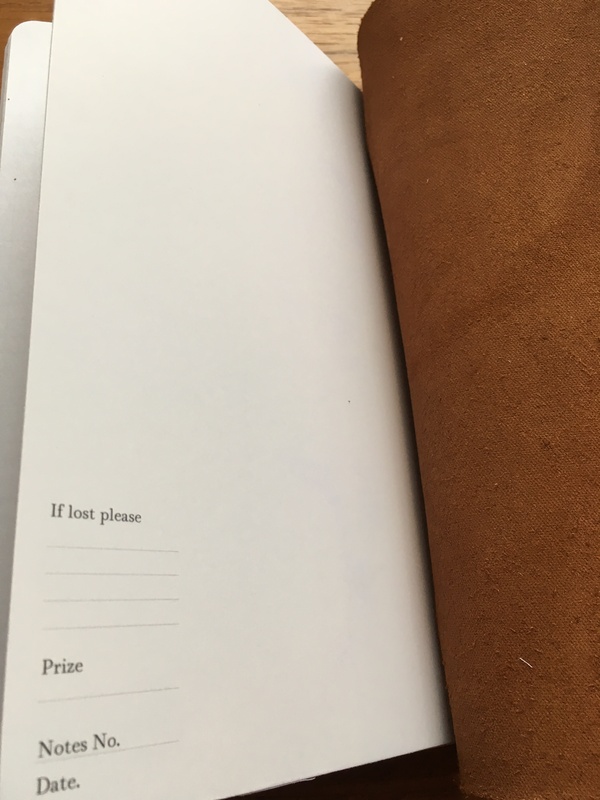 Our notebooks are unique not only for their infinity, but also for the exceptional leather quality. 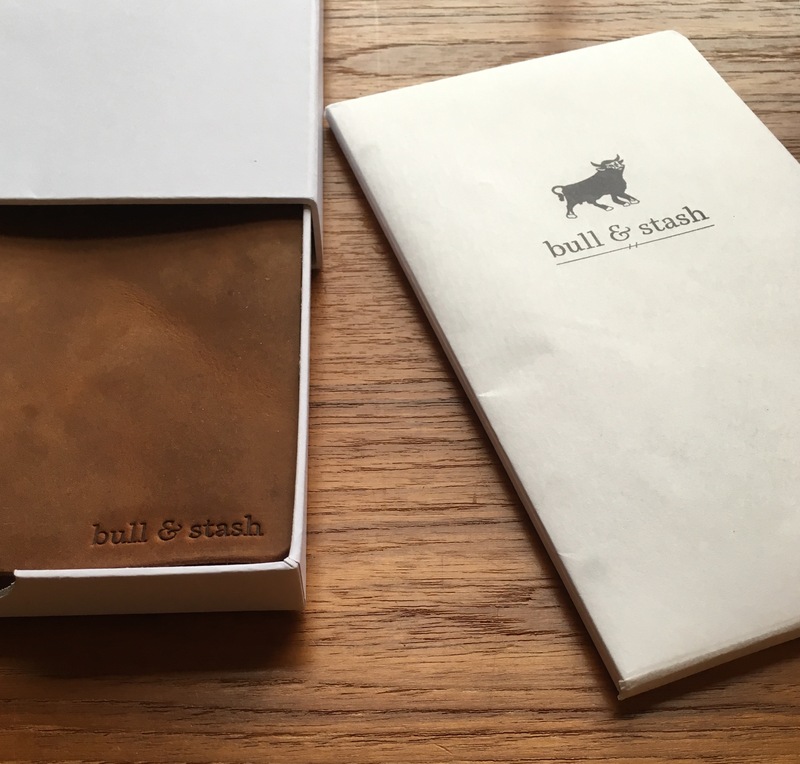 Bull & Stash full grain nubuck leather is vegetable tanned and aniline dyed— matching top industry standards. Dimensions are 5.5″ by 8.75″, which is comparable but not identical to A5 (which is wider and shorter). The paper is 60# and does wonderfully with a fountain pen. 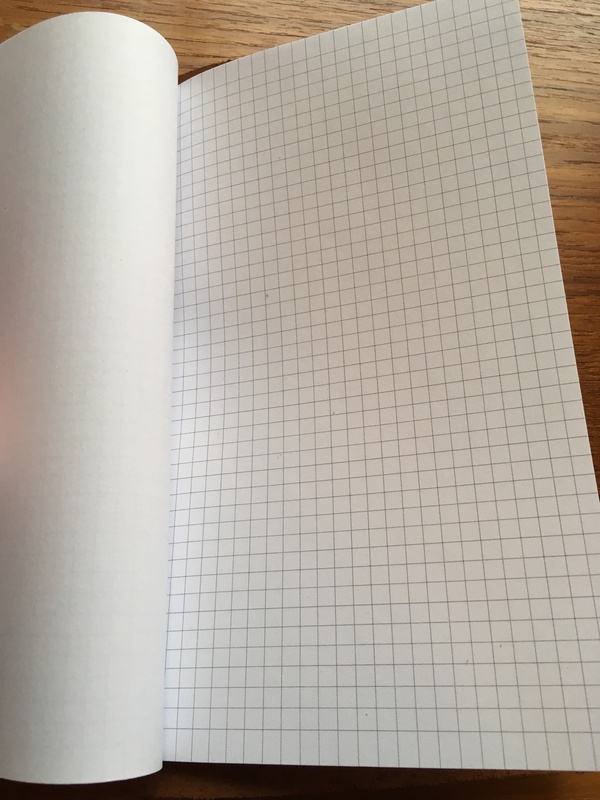 You can get blank, lined, grid (graph), or (brand new!) grid pages. I haven’t gotten very far into this notebook, but it’s already a minor annoyance as compared to other notebooks I use. 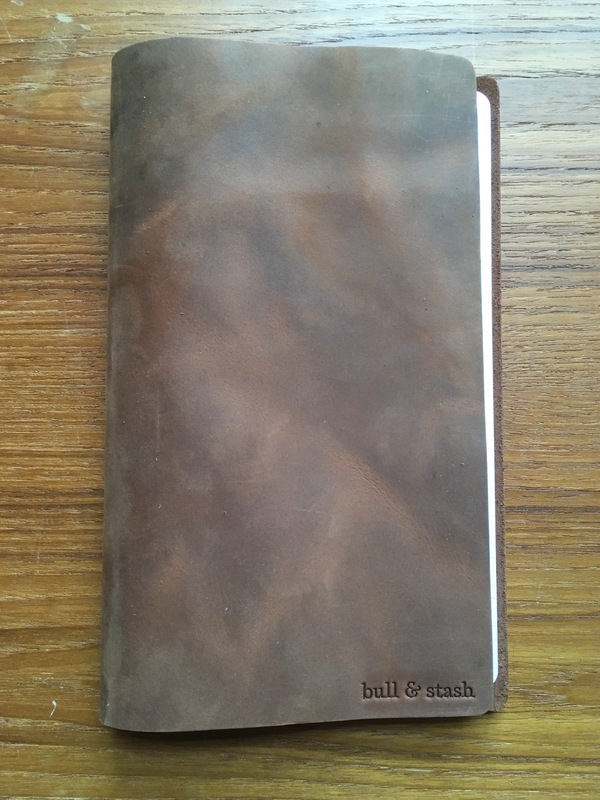 All in all, though, The Stash looks and feels (yes, and smells) so good that I really enjoy writing in it. You would hope to be able to use a fountain pen with a notebook this classy, and the sturdy paper makes it possible. And the industrial look that the screws provide has really grown on me. In the next post, we’ll look at writing in the Stash and consider the refill system.